Ari Thor returns to investigate a chilling series of crimes that are rooted in tragic events from the past. 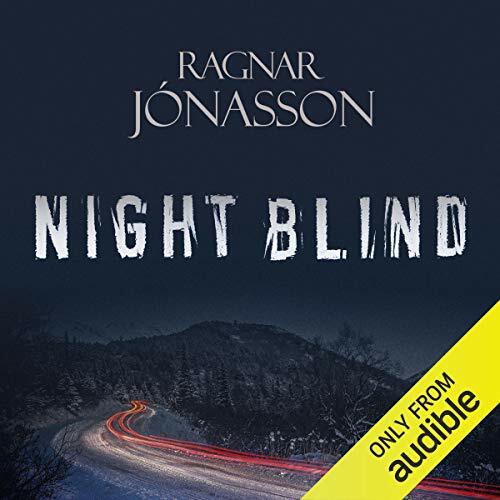 Ari Thór Arason: a local policeman whose tumultuous past and uneasy relationships with the villagers continue to haunt him. The peace of this close-knit community is shattered by the murder of a policeman - shot at point-blank range in the dead of night in a deserted house. Dark, chilling and complex, Nightblind is an extraordinary thriller from an undeniable new talent. A wonderful book completely ruined by the narration. It's an ICELANDIC mystery! The British accent and artificial drama makes it sound like a wannabe Sherlock Holmes. And then the narrator trots out his fleet of "voices", applying, apparently at random, weird Scottish, Irish, or low English accents to the ICELANDIC characters (is this profiling? Are we supposed to infer Icelanders are uneducated because they get the "lesser" English accents? -the villains get the lowest "voice" of course, immediately signalling their guilt). An awful, awful production decision - practically unbearable to listen to. This author and this series are not to be missed, but for god's sake- READ this one.